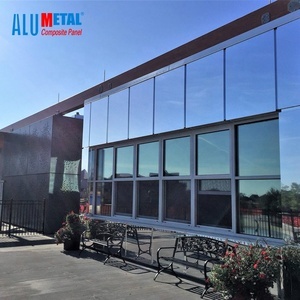 1 YRS Shanghai Alumetal Decorative Material Co., Ltd.
is located in Foshan Guangdong China, which is specialized in the research, development and production of honeycomb products and production line machines. We has made great progress in the research and development of high-strength honeycomb by taking root technology, professional manufacture and continuous improvement. We are the top of few manufacturers can make super micro-aperture honeycombs, of course, we are also making conventional honeycombs and slant hole honeycombs, normal cell sizes and big cell sizes. 5 YRS Guangdong Reinalite Industrial Co., Ltd.
4 YRS Guangdong Na-View Commercial Investment Co., Ltd.
Na-view can also be designed to incorporate functional elements such as lighting, sound control, fire protection, and ventilation. 1.Q: Can you provide the free sample for me9 A: Yes, we can provide the free small size wall panel for your reference if you want to check the quality. 2.Q: Will you make the installation instruction for me9 A: Yes,we will print the installation instruction attached to the goods. 9 YRS Foshan Shunde Kamol Decorative Materials Co., Ltd. 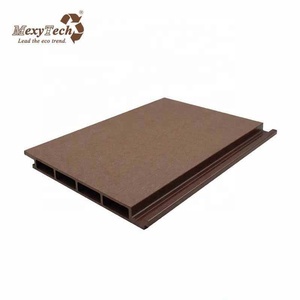 The composite board can be used as a interior wall sandwich panels,exterior composite wall panels. We are located in the industrial zone of fengxian district of Shanghai. etc We have 8 production lines with various kind of products,and 20 working teams for supplying installation and services. Why Aluminium Composite Panels9 1. Cost effective &ndash; Aluminium composite panels are cost effective with low installation costs. 7. Range of Finishes &ndash; Our aluminium composite panels are also available in a range of specialty finishes. 8. Versatility and formability &ndash; Unlike high pressure laminates aluminium composite panels can be fabricated extensively. 3 YRS Foshan Haodingyuan Decoration Material Co., Ltd.
2.Direct manufacturer Our factory is one stop finish manufacturer, including color-coated coil,composite panel and trade. ,LTD founded in 1997,has grown to become the leading company engaging in aluminium composite material/panel (ACM),color-coated aluminium coil,silicone sealant production and development in China. Our company is committed to providing superior value through high quality products,innovative application solutions and the world class customer service. 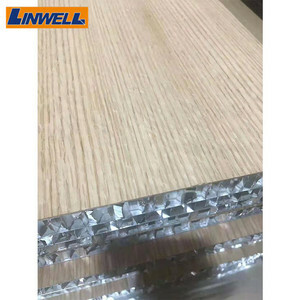 2 YRS Shandong Yinsanyan Building Materials Co., Ltd.
Aluminum honeycomb panels The idea of manufacture the aluminum honeycomb panel is from the honeybee, in the natural. With special glue and produced light but strong aluminum honeycomb panels, We coated on the outside surface of the sheets. 5) Coating is anti-effloresce, long lasting and chemically resistance to corrosion. 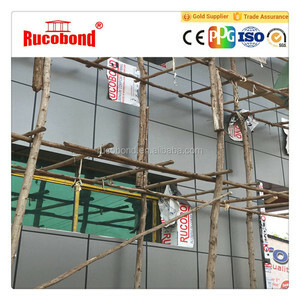 6 YRS Guangzhou Top Ace Building Materials Co., Ltd.
4 YRS Wenzhou Jixiang Composite Panel Co., Ltd.
3 YRS Shanghai Huayuan New Composite Materials Co., Ltd.
Alibaba.com offers 69,637 cladding panel products. About 22% of these are aluminum composite panels, 7% are sandwich panels, and 4% are curtain walls. 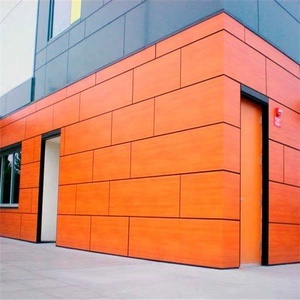 A wide variety of cladding panel options are available to you, such as indoor, outdoor. You can also choose from free samples, paid samples. 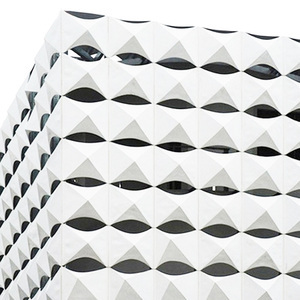 There are 69,637 cladding panel suppliers, mainly located in Asia. 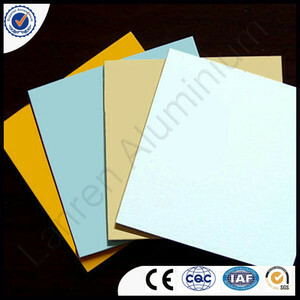 The top supplying country is China (Mainland), which supply 100% of cladding panel respectively. 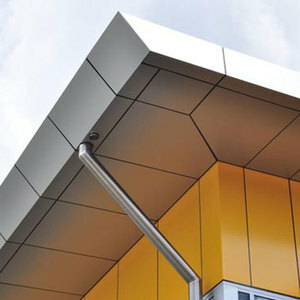 Cladding panel products are most popular in Domestic Market, Mid East, and North America. You can ensure product safety by selecting from certified suppliers, including 27,613 with ISO9001, 7,868 with Other, and 7,257 with ISO14001 certification.